Seasons wood furniture series look simple and stylish. Stylish imperfection and elegance are blended into unique contemporary furniture pieces. No two pieces are exactly the same. 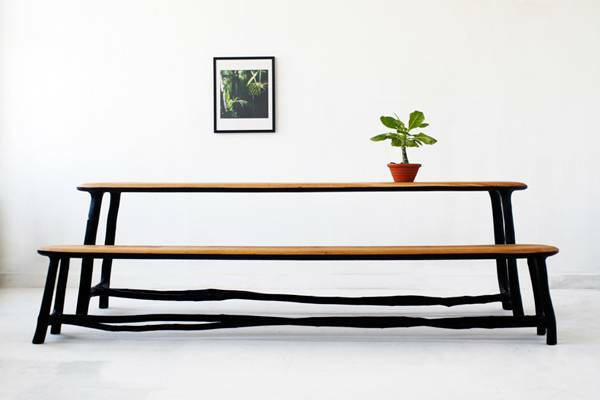 The handmade collection of tables, stools and benches celebrate the natural beauty. Although diverse in dimension and function, each of modern furniture pieces is constructed in the same process. Mortise-and-tenon joints connect hazel branches and a top made of oak wood. A mixture of sawdust and glue are used to fill connections for creating smooth and elegant look. Beautiful wooden furniture sets from Valentin Loellmann, www.valentinloellmann.de/ bring the unique texture of solid wood and organic design into modern interiors, featuring seamless form and pleasant natural curves. 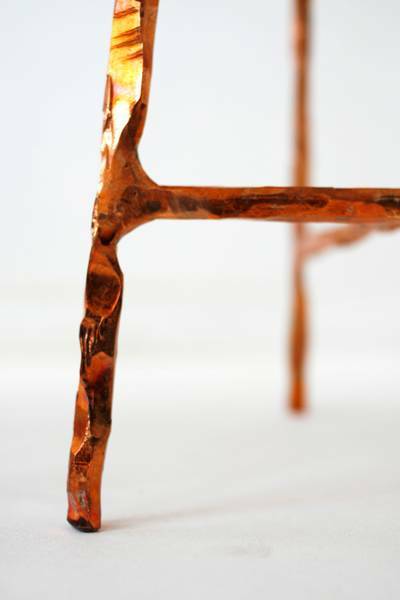 The unique furniture pieces are burned and treated with wax. Tables, stools and benches tops are sanded and polished. All wooden furniture pieces are treated with oil. Hazel branches add strength and straightness to the final furniture design. Natural shapes give each wooden furniture piece a distinct character, perfect for creating exclusive home decor in eco style.